My husband says I’m an addict and a hoarder. I tell him I’m simply a collector. The advent of the e-reader was a good day for him because it meant at least part of my “collection” was hidden from his sight. This was good for me, too, for two reasons. One, as it was out of his sight, he couldn’t easily complain about the steady growth of my library. Two, the lack of physical space constraints let me “collect” to my heart’s content. you talk about characters as if they are real people. your arms have ever been sore after a marathon reading binge. It ain’t the gym! you have any ink on your skin that is book-related. you carry a book with you wherever you go. you always exceed your reading goal for the year. you have a Pinterest board dedicated to reading. you’ve ignored fellow humans while reading. you pass on social stuff to stay home and read. you could easily spend hours in a bookstore and still feel like you left too soon. you live for the weekend and uninterrupted reading time. you take it irrationally hard when a book doesn’t end the way you think it should. even before the movie comes out, you know the book will be better. in an average month, you’ve read far more books than seen movies. you regularly suffer from a book hangover, which is only cured by more books. there are legit PILES of books everywhere. 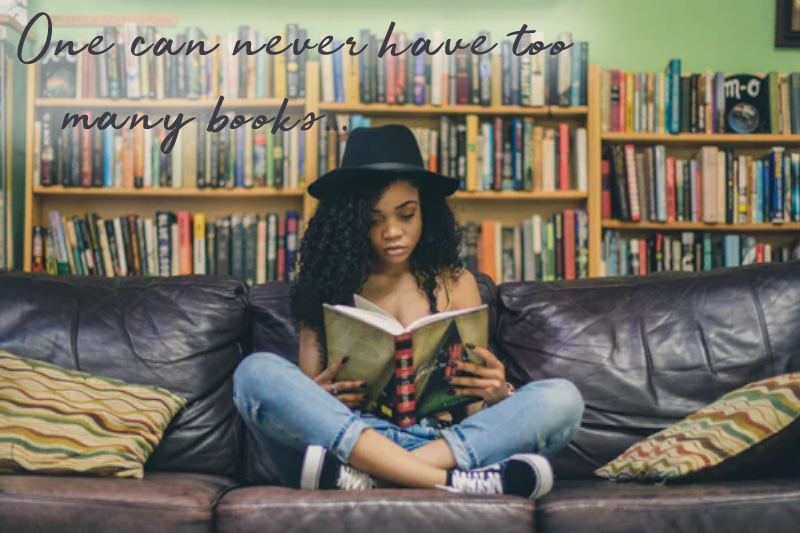 you have a book, or three, that you will read over and over for the rest of your life. you’ve ever put your Kindle/Nook in a ziploc so you can read safely in the bath or by the pool or ocean. the library/bookstore is your personal happy place. you fully accept that character rushes are real.